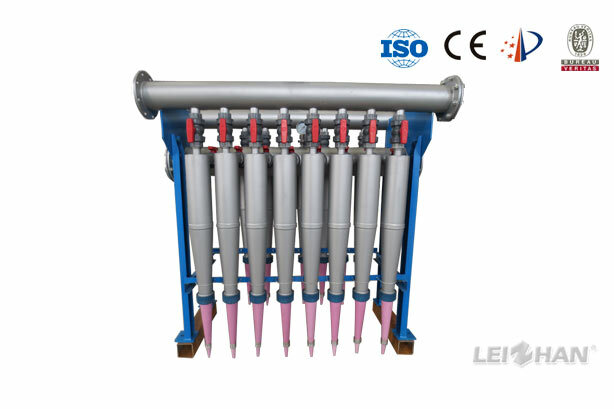 Waste paper pulp cleaning equipment KH Series Low Density Cleaner is mainly used for removing heavy impurities in the pulp like gravel, scrap iron, dust and large ink particles. 1. Divided design, the cleaners can be divided into 3-4 parts, which make it easier for disassembly, assembly and replace. 2. Different deslagging ways: open and closed type impurity discharge to meet different working environment. 3. The bottom of cone adapt wear-resistant ceramics. It ensures the stable deslagging and long service life. * If you can’t find the product you are looking for please contact us leizhanchina@gmail.com to enquire about our full range.